Melbourne Book Restoration can repair your old or damaged books. Each repair is unique, so your book will be assessed prior to any work being started to determine the best approach. Depending on the extent of the damage and the desired result, the restoration can be as simple or extensive as required. 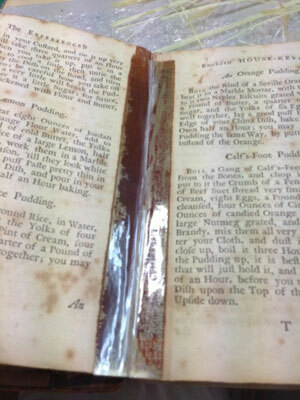 Dirt, dust, sticky tape, duct tape, bad storage all contribute to deterioration of books. Although it seems like a good idea at the time, sticky tape/duct tape should always be avoided. Old tape residue can be removed but unfortunately not the stain. The sooner the tape is professionally removed and the pages repaired the better as this will put a stop to slow deterioration. 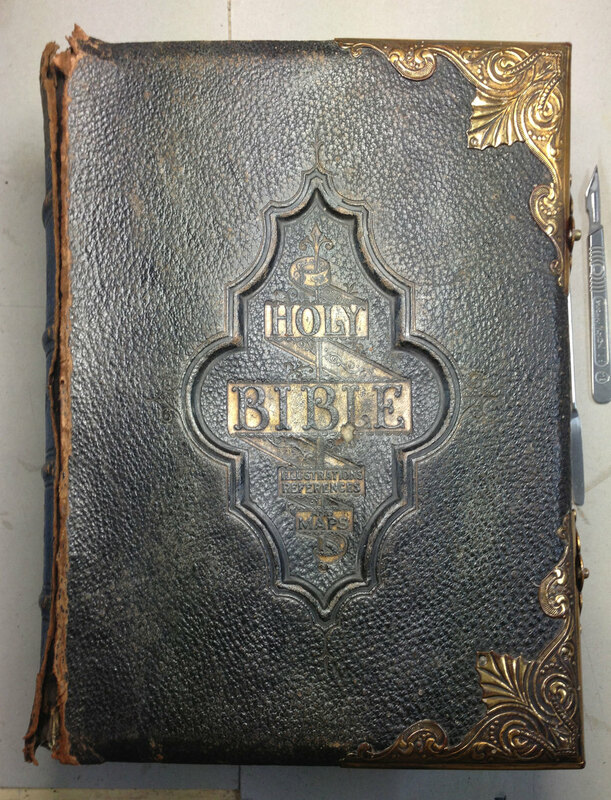 In some cases, the best option to preserve the value of a very rare or heavily damaged book is to create an archival Solander box enabling the book to be stored safely in it's current state and avoiding further damage.